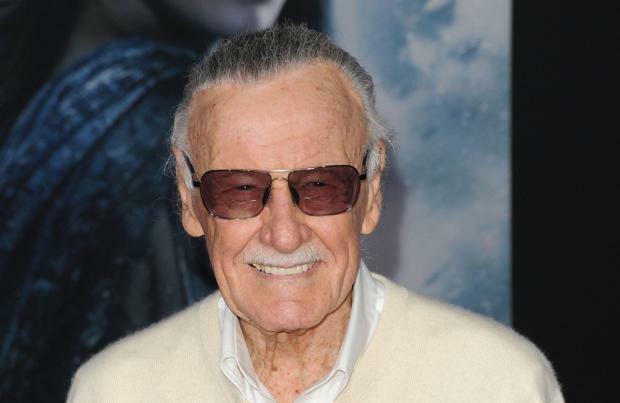 Stan Lee, the former president and chairman of Marvel Comics, has claimed the world "has a place for gay superheroes"
Stan Lee thinks the world "has a place for gay superheroes". The 92-year-old former president and chairman of Marvel Comics has revealed he isn't generally bothered by the sexuality or race of a superhero, but doesn't think it should be changed once the character has been established. Speaking specifically about Spider-Man, he said: "I wouldn't mind, if Peter Parker had originally been black, a Latino, an Indian or anything else, that he stay that way. But we originally made him white. I don't see any reason to change that." Stan said an entirely new character ought to be developed if comic book fans are so keen to see a gay superhero. He told Newsarama: "I think the world has a place for gay superheroes, certainly, but again, I don't see any reason to change the sexual proclivities of a character once they've already been established. "I have no problem with creating new, homosexual superheroes. "It has nothing to do with being anti-gay, or anti-black, or anti-Latino, or anything like that. "Latino characters should stay Latino. The Black Panther should certainly not be Swiss. "I just see no reason to change that which has already been established when it's so easy to add new characters. I say create new characters the way you want to. Hell, I'll do it myself."